Keep Clear Markings and no cycling symbols. 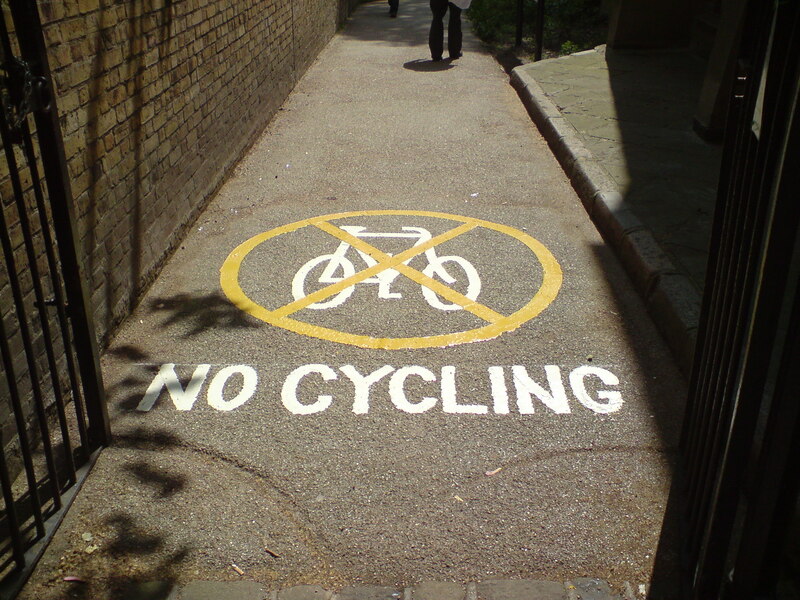 Very busy car park area and client wanted to stop cyclists using certain areas. 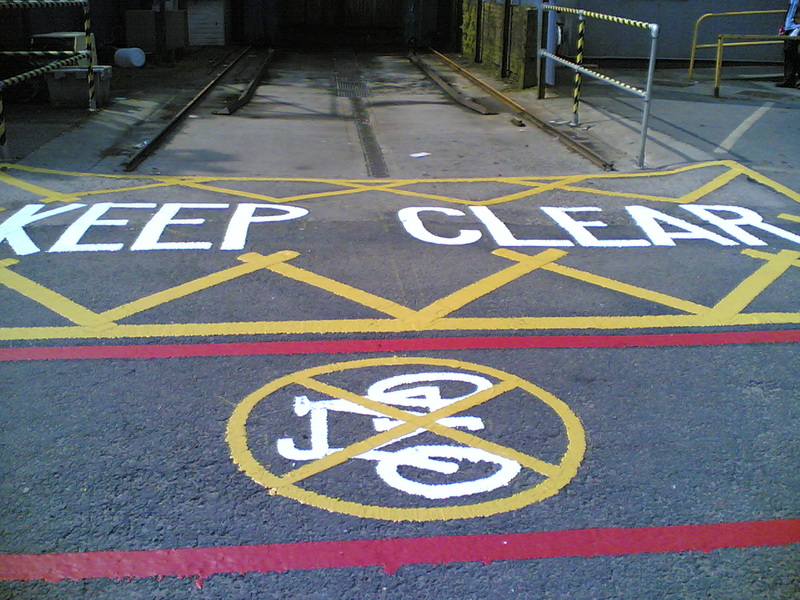 We used white, yellow and red thermoplastic material to draw attention to the warnings.